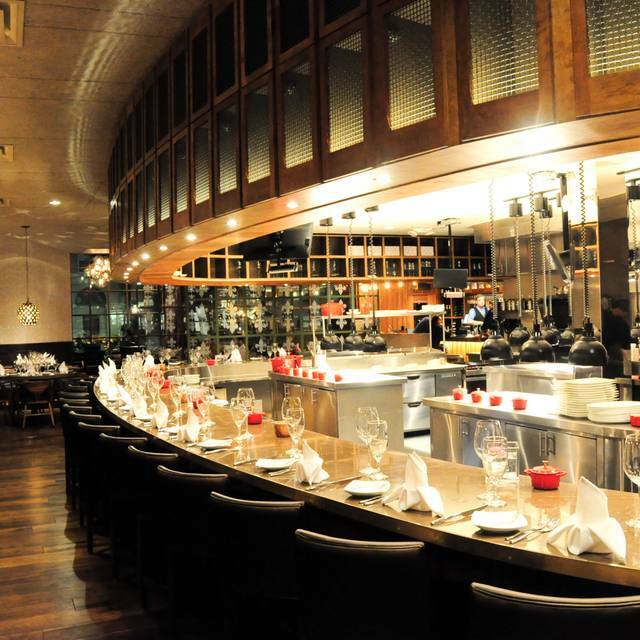 You must make reservations at least 5 minutes in advance of the time at Artisans Restaurant. Features up to four rooms that can be made completely private. The first is the beautiful Salon that is AV equipped and seats up to 80 people. Second is our Medieval Room that can seat one large party of up to 24 or can be divided to seat two parties of 12 each. 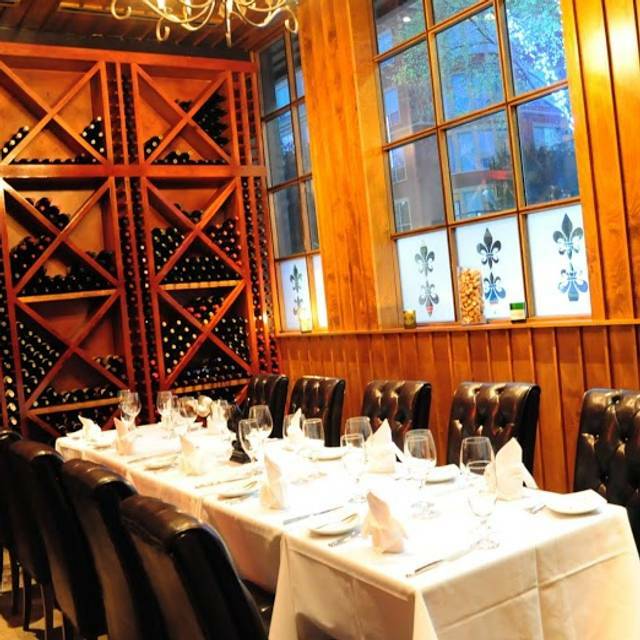 The next is the Wine Room with a view of our Cellar and Fleur de Lis decor. 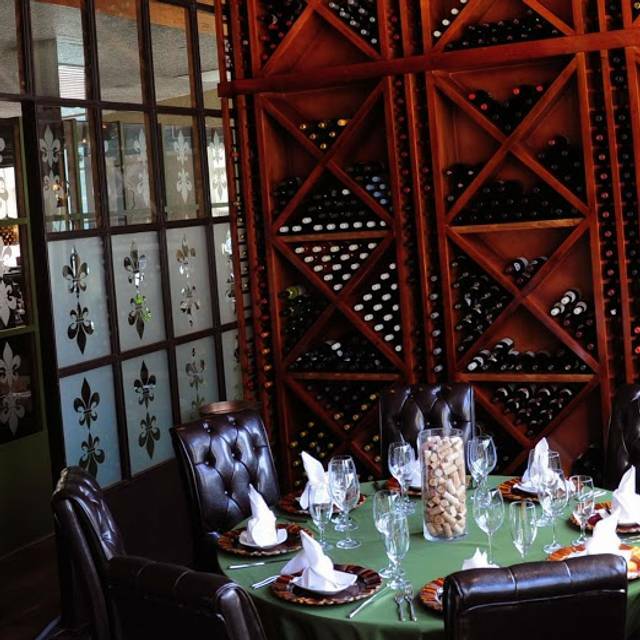 French eclectic, steaks, seafood, Fine Cuisine, Artistic Talent, and Breathtaking Decor, if you enjoy these luxuries, make Artisans your next dining destination. 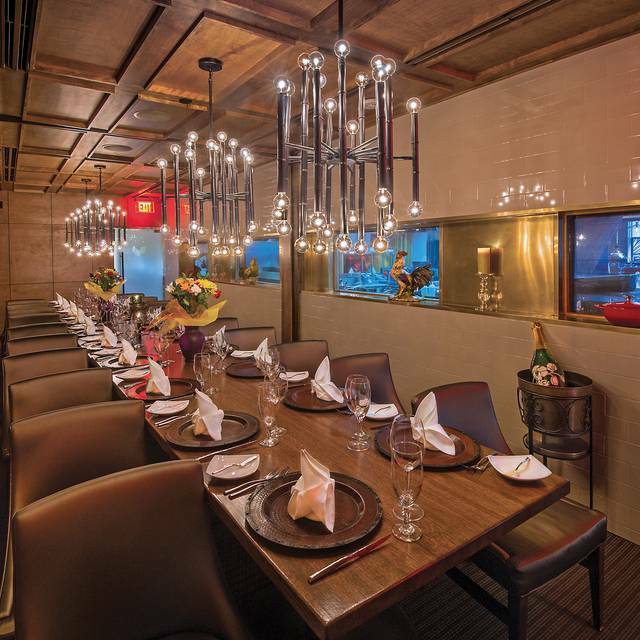 The owners of Artisans Restaurant have created a place unlike any other. 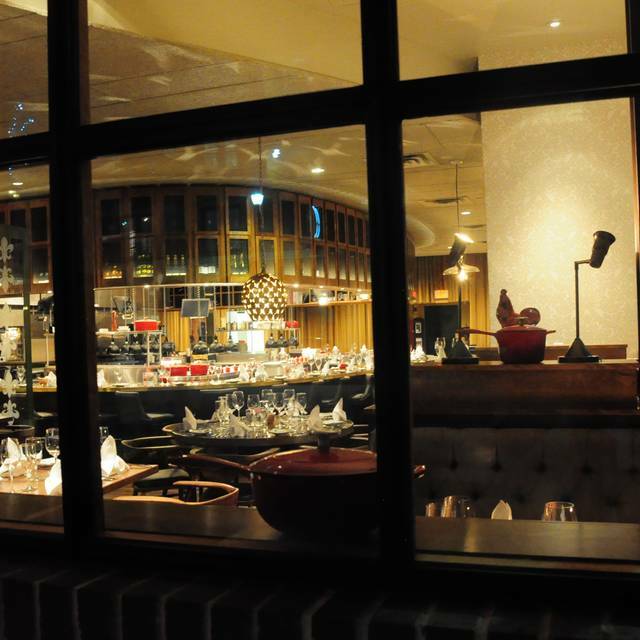 The vast working kitchen is in the middle of the restaurant, with views from every seat in the building. The culinary team works like an orchestra, where their composer is the owner/executive chef and they work in unison to create art for their audience consistently while paying attention to every detail. Mom deserves the best and the best brunch in town is at Artisans Restaurant. Bring mom and the family to Artisans Restaurant for an amazing five course brunch that will wow all of you. $95++ per person. From 11 am to 3 PM. Absolutely amazing! The sea bass was everything I expected. If you haven't been go! The food was excellent, and the dessert sublime. The lunch special is a great deal. I love the background music that fit with this French-style restaurant. I highly recommend and there is free parking in the garage. Another excellent visit. We tried new things based on the recommendations of our server - great. 4th visit. My husband’s tuna was disappointing but the appetizers (foie gras and the 3 part Jacques appetizer with lobster cappuccino) as well as my Le entrecôte entree were all excellent. Service was attentive but not intrusive and the wine was delicious as well. They have a nice but not overwhelming selection of wine and same with whiskeys, bourbons and scotches. Perfect visit, as usual. We went to celebrate a birthday. They made it special. Everything was great from the soups to the entrees to the bread and the dessert. Service was impeccable. Still one of my faves! Artisans has become a standard that others are judged by. Consistent performance is always there! It is a special touch for the owner to come out and see that everything is going perfectly. Not many "real" French Cowboys around these parts but you will see one at Artisans!! Keep it up Jacque! It was my first time visiting and eating dinner with my boyfriend for his birthday at this fab ❤️ restaurant. It won't be my last time. Wow that was a great meal! Had brunch. Chili rolls, fried green tomatoes, and waffles with chicken were amazing. We also got shrimp and grits - which was not a good pairing with breakfast but was delicious. 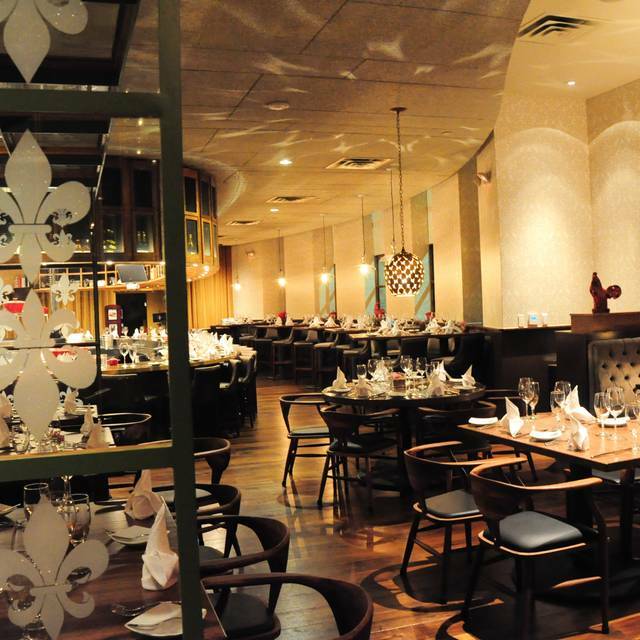 We'll plan a meal or two here any time we find ourselves in - or passing through Houston! We sat on the table that wraps around the kitchen which was awesome. The lamb loin is to die for and the beef peppercorn is amazing. Also the scallops and escargot is divine. The waiter was very nice and overall I enjoyed everything and the food is awesome. Lobster bisque if you are a bisque person you have to get it. Excellent food. Their prefix menu is outstanding. Chef Jacque and chef Russell are always at hand. Feel welcomed to ask them to come your table. Will keep going back!!!! 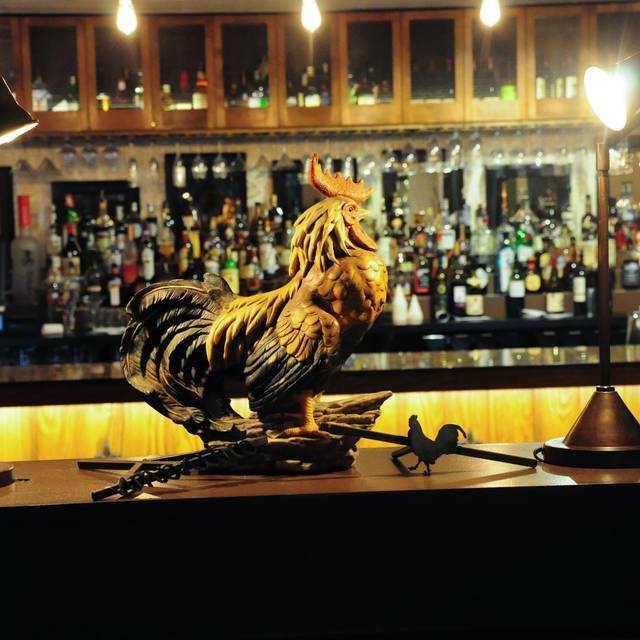 Outstanding food, service, and ambiance! Fantastic all the way around. This was our second time here and the experience was exceptional. I have a hard time giving a high rating to value because this is not a discount restaurant. We paid for top quality dining and that is what we received. The food is exceptional and the wine is excellent. The first time I had the six course tasting menu with wine pairings and this time I had the bouillabaisse and my wife had the veal chop. This is a really good restaurant! My husband took me to celebrate my b-day. We share the 6 course menu. Every bite was a delight. My wife had the steak au poivre. It was excellent. However the bouillabaisse was awful. There was more potatoes than seafood. Do not recommend this dish to anyone unless you have no idea about bouillabaisse . The best bouillabaisse I ever had was in Marseilles. This is the real bouillabaisse that you really wants to eat. We had a fabulous time at Artisans Saturday night! The food was fabulous as usual and our family that we brought with us wished they had knew about Artisans sooner! We will definitely be going back. Three of us had the six course meal that was really good and filling! Amazing as always!! Tried something new and we were delighted as usual! We love Artisans and this time really enjoyed your time with a Grace. She took great care of us and was super sweet and attentive. Never a bad experience at this restaurant. I highly recommend. We all tried the 6 course with wine pairings and were not disappointed! One of our friends dining with us has a fish allergy, and the waiter quickly suggested “alternate” dishes for her without blinking an eye! Service was spectacular! It was a little noisy, which made visiting across the table a little difficult. Too expensive for the value. Lobster bisque was excellent. Chicken was fantastic. Very average. Nothing special on the menu. This was our first of many visits to Artisans. From the moment we walked into the restaurant until we left, service was absolutely great and we will back again soon. A wonderful dining experience! Over the top service! The lobster bisque is a must! Food well prepared and tasty; some was tepid and some was hot. Waiter was basically not at home, nor even his assistants. No attention from the maitre'd. All of this was in stark contrast to our prior visits. We will certainly go again soon, but a black mark on this occasion. Best French food in Houston by far! My husband ordered the 6 course meal and everything served was superb! The bread came out hot and was sooooo good with butter! Escargot was super delicious. We are putting this restaurant on our list to come back again. Outstanding food and service! We really enjoyed our dinner here and will definitely be back. The food was so so for how pricey it is. Me and my husband ordered the Chilean sea bass, mine was cooked but my husbands was undercooked. They made him a new one but didn’t discount our bill or offer a desert for the inconvenience. We won’t be giving it another try. 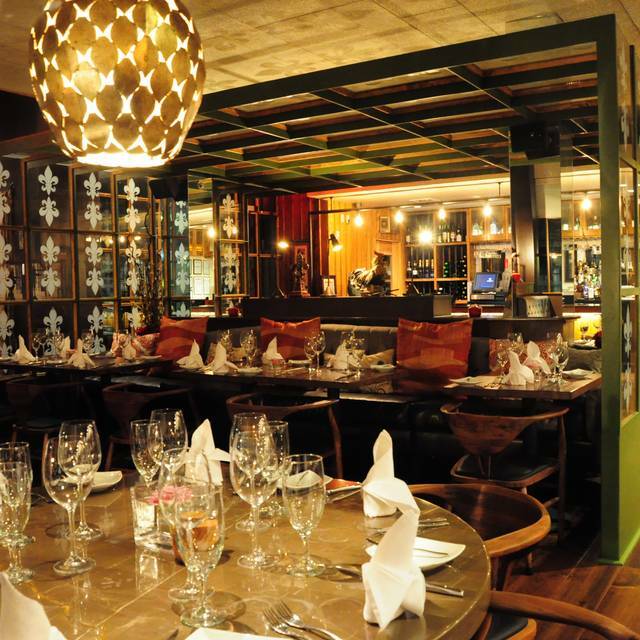 Fabulous food, great service, authentic French cuisine. An outstanding dinner from start to finish. Warmly greeted. 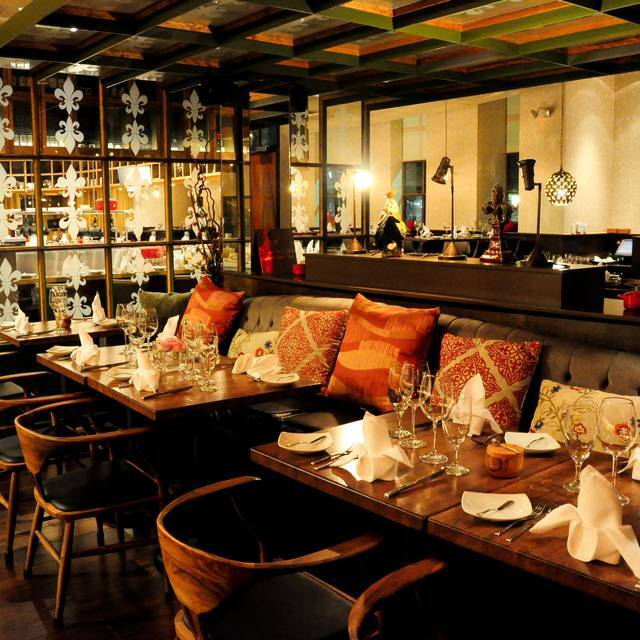 Great decor & ambiance. Nice wine list. The food was outstanding -- one of the best meals we've had, and we eat at high-end restaurants across the US and Europe. And the chef came outside as we left to check with us and make sure we enjoyed the meal. My wife & I were impressed, as were the couple with us (who also dine globally). We will DEFINITELY be back again & again. Absolutely great meal! The restaurant is very high end and romantic on the inside and parking was quick and at a good value given the location ($5 valet). The menu has something for everyone and we got the scallops, smoked salmon and lobster bisque for appetizers... all were outstanding. We also shared the sea bass which is as amazing as all of the other reviewers say it is. The food in general is a little heavy but what French food isn't. The only negative (and not really a negative) was that the restaurant was only about 10% occupied when we got there at 8PM which was surprising given how great the experience was. We will definitely be back to try out more of the menu! We did the 6 course chef tasting menu with wine pairings, arriving at 5:30 due to a theater engagement at 7:30. The service was impeccable. Even more importantly, each dish was thoughtfully crafted in terms of flavor and color combinations, texture and presentation. The red fish dish and the lamb were both spectacular! Highly recommended! Artisans was disappointing on so many levels, especially after the great reviews I've read in a variety of places. The ambience was so dark it was hard to see the menu, cocktails arrived from the bar at room temperature rather than chilled, and it was like the staff and kitchen had no idea what to do with requests for gluten free items. At the first attempt to get a gluten free alternative for the escargot, which were delicious, our server returned with less "yeasty" bread, which still has gluten! Our entrees were subpar as well. There are much better french restaurants in Houston, this one doesn't need a return visit.